It takes a lot of work to build endurance in Cross Country and speed in Track and Field. 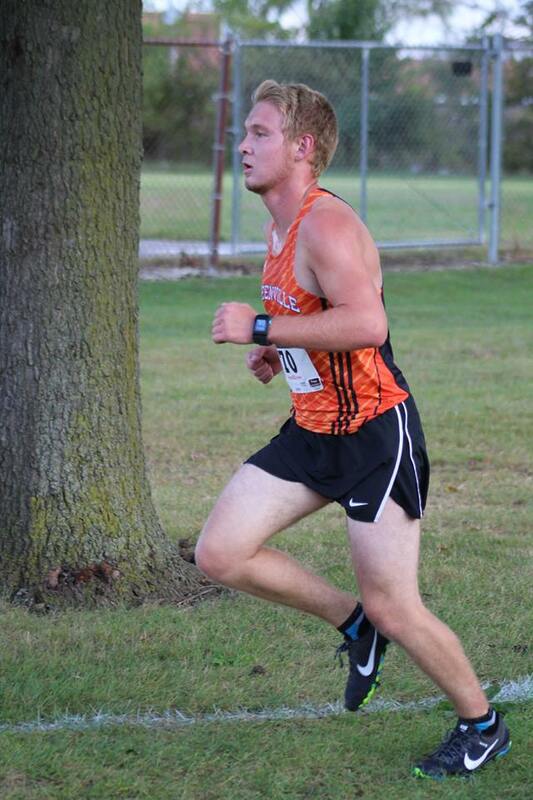 Someone who has put in the work to become one the best long distance runners at Greenville University is junior Dylon Niswonger. Niswonger is on the both the Men’s Cross Country team and Track and Field Team and has played a major part of both teams since his freshman year. 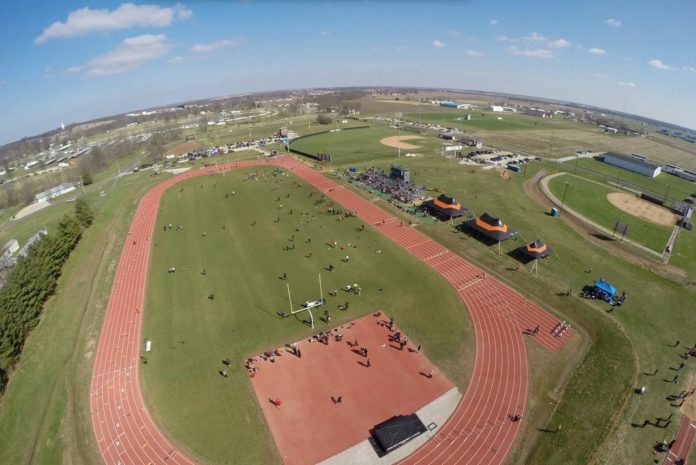 Though Niswonger has succeeded on both cross country courses and on the track, the place where Niswonger has succeeded just as much or more is in school. Being a successful academic student while also performing at a high college level is something special and Niswonger works for it. Dylon Niswonger running his race. Niswonger’s athletic career at Greenville University has not been as easy as many other athletes at Greenville. Niswonger has worked very hard to become the long distance runner that he is today. Niswonger’s athletic achievements range from getting third in the 10,000-meter run with a time of 34:02.0 at the 2018 SLIAC Track and Field Conference Championships and coming in fifth place in the 10,000-meter run in 34:52.59 at the 2018 NCCAA Track and Field Championships. But even in cross country, Niswonger has had success like at the 2017 SLIAC Cross Country Championships helping the Panthers score points to win the Conference Championship, coming in sixteenth place in 26:44.0 on the eight-kilometer course. Despite the short length of Niswonger’s athletic career, he has earned many great honors. But as stated before, an impressive athlete is one that also excels in the classroom. Niswonger has achieved multiple honors for being a great student-athlete. These include SLIAC All-Academic team for both the 2017 Cross-Country season and for the 2018 Track and Field season. Any athlete needs to have a cumulative GPA higher than 3.0 to achieve this honor. John Mangold and many other fellow teammates of Niswonger have also achieved this honor. Dylon Niswonger with his friends Jackson Pierce and Kori Nesbit. Keeping up with a social life and establishing friends as a committed student-athlete is very difficult for some. But, for Niswonger, being friends with people is not a problem. He is friends with his teammates as well as other students around campus. His fellow teammate, Mangold, feels that “Dylon has the determination and strong willpower that makes him into the well-rounded athlete he is today. 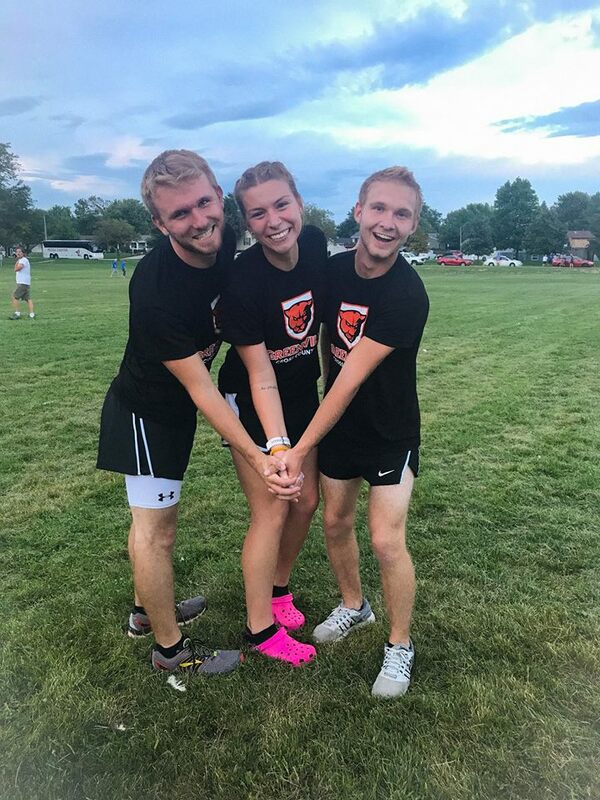 It is a blessing to have him on the team.” Another teammate, Jackson Pierce adds, “Dylon is the best kind of cross country teammate you can have. He’s fast, which is important, but more importantly, he pushes you as a runner to be faster and pushes you to be the best runner you can be. Even if that means you end up ahead of him. He wants you to be the best runner you can be.” These two examples really show the impact Niswonger has on those around him. Being a great student, a great athlete, and a great friend is something that almost all parents hope that their child grows up to be one day. To become great at all the things that Niswonger has, it takes a lot of work. The most fortunate thing about it is that Niswonger still has two more years in college to achieve a whole new level of greatness. Do your part in supporting their goal to become SLIAC conference champions! Come cheer on the Men’s Cross Country team on October 27th at the SLIAC Championships in Litchfield, Illinois. Previous articleWhat Makes Coffee so Good? Great job by Mitchell. We’re very proud of our grandson Dylon.